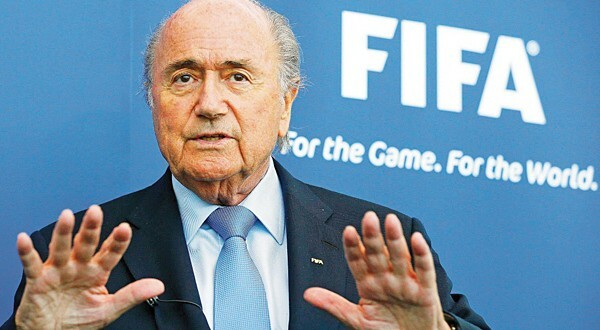 Last night Sepp Blatter resigned after 17 years in the position as president of football’s global governing body, FIFA. The resignation was to be expected since American criminal investigators last week indicted a host of FIFA executives on charges related to corruption and wire fraud. Notably, these charges allege that South Africa paid over a R100 million ($10 million) in bribes to secure its 2010 World Cup Bid. In South Africa this should hardly be breaking news: one would be hard pressed to find a South African that honestly believes FIFA is an open, transparent and fair organisation. Further, the perpetual media attention on government corruption in South Africa makes the potential complicity of the South African Government hardly surprising. What is surprising, however, is how the bribe allegedly took place. According to the May 20th 2015 US Indictment, the alleged perpetrators agreed to pay a bribe directly to FIFA officials. However, when the officials tried to effect payment of the bribe, it is alleged that the South African government’s stringent financial management controls prevented them from doing so. The indictment maintains that unable to pay the bribe directly from government coffers, the perpetrators colluded with FIFA to redirect FIFA’s own resources back to the alleged officials as a bribe. On the face of it, this could have been good news for South Africa: whilst some South African officials may be complicit in corrupt intent, the indictment actually testifies to the government having stronger controls against corruption than even an internationally regulated body like FIFA. However, combining President Zuma and Police Minister Nhleko’s response on Nkandla with Deputy President Cyril Ramaphosa’s announcement on e-tolls, makes the picture looks decidedly more complex. Last week, the presidency put forward a spectacle that would be more appropriate in a desperate, fading dictatorship than in a democracy, however fragile. President Zuma’s own advisors must know what every other South African does: that it is simply farcical to think that voters actually believe that tax payers should foot the bill for the President’s R3 million swimming pool for the president because of its potential to help fight fire. Even more embarrassing was Minister Nhleko’s claim that the public should be sanctioned for impeding on the president’s right to privacy because parliament is questioning self-evident wasteful expenditure. Recognising that Zuma and his advisors are the most successful political strategists in the country today, the question must be why the president and his team of advisors choose such a preposterous display rather than just silencing bureaucrats within the ranks? After all, it would be more politically expedient simply to avoid questions and silence questioners. Similarly, on the e-toll debacle, it defies reason that the ANC’s own elite do not recognise the political costs of continuing the current practice. No matter the economic or fiscal cost of doing away with the e-tolls, the political cost is much higher and only set to grow. After all, if the government really enforces collection, countless voters will have to settle their bills and because some of these bills are now so high, they will have to choose between paying school fees, car instalments or health bills and e-tolls. Similarly, the longer the government is unable to collect e-tolls, the greater the anger and resentment from voters that have paid. The problem is that the ANC is facing probably the biggest and longest lasting act of coordinated civil disobedience since the end of apartheid. Instead, of finding a way to neutralise this civil disobedience by doing away with e-tolls in their entirety, the ANC is choosing a direct confrontation, thus only politicising e-tolls more and playing straight into the hands of the opposition. The interesting thread through all three cases, however, is not actually the potential link to corruption, but rather the inability of the leadership to command the country’s civil service. In the case of the alleged FIFA bribers, the officials concerned were unable to get around government’s own procedures. In the case of Nkandla, the leadership was unable to make the investigations go away and thus forced to deliver a decidedly desperate answer in the hope of covering it up. And, in the case of the e-tolls, it simply defies logic that the ANC would knowingly incur such a high political cost unless presented with no other choice from the Treasury. What this implies is that even the ANC does not control the government administration despite ruling for more than two decades. Unable to address their own priorities of making Nkandla go away, or paying FIFA bribes as purportedly intended, or even find a financial accommodation on e-tolls, it is time to recognise that the government’s bureaucracy has a will of its own. Nothing evidences this better than the rolling debacles propagated by the Department of Home Affairs that illuminates a frightening disconnect between Minister Gigaba, hell bent on delivery, and his officials that simply ignore his every instruction. Events of this last week also made public this disconnect when we witnessed Home Affairs requiring all parents travelling internationally with children to produce unabridged birth certificates, whilst Home Affairs simultaneously reported to parliament that it is simply unable to supply them. Thus actually denying citizens their fundamental right to freedom of movement. The disconnect is simply staggering: on the one hand Minister Gigaba promises responsiveness but on the other, not a single one of the telephone numbers of senior managers listed on the Home Affairs website is ever answered. Enforcing punitive legislation like this, whilst also making it impossible for voters to comply, is nothing short of political suicide. Such disconnects between political intentions and operational realities are simply too widespread to be due to poor management or low capacity alone. They are witnessed across government whether in primary education, municipal delivery or safety and security. More importantly, however, such disconnects also occur when it comes to evident political priorities such as in health or transforming tertiary education. Unfortunately, what this means is that those seeking rent-seeking opportunities will increasingly look to the periphery of government for opportunities. This means we should expect only increased pressure to outsource and procure more and bigger public goods and services. The more the government bureaucracy fails to deliver to its political masters, the more those political masters will look to neuter and go around the bureaucracy. This is the real reason why e-tolls and the soccer world cup are such potentially lucrative opportunities: it is not the size of the expenditure that matters so much as what proportion of the spending falls outside of the direct control of government. A recent report published in the journal, Project Management, by Professor Eamonn Molloy points out, for example, that as little as two weeks before finalising the bid, FIFA officials commented on how unrealistic South Africa’s financial projections were. According to Professor Molloy, South Africa grossly under-reported the cost of constructing stadiums. The South Africa bid put the cost at around R8,000 for each seat at today’s exchange rate when in reality a more realistic cost would have been R25,000 per seat built. Furthermore, South Africa over-estimated the revenue from ticket sales by as much as R2 billion in today’s terms. Worse still, the deal itself is bad: FIFA gets a 1,000 percent return from its investment, but South Africa’s taxpayers spent R60 billion (at today’s rate). FIFA, in comparison, made R30 billion on broadcasting rights alone. All these billions and millions that are lost and shuttled away do not simply disappear. Instead they filter through the public fiscal systems like an ever recurring parasite: all South Africans now pay for these ill-advised procurements either through taxes collected, property rates paid or deferred services. Instead of South Africa simply denying any possible wrong-doing, now is the time to investigate and come to terms with the actual costs of bad public investment decisions. In this regard, the American investigations should be welcomed and presented to the public as an opportunity to strengthen our own systems. Democratic advocates must capitalise on this investigation and do everything possible to keep it in the public space.